Love mice, hats and naps? Become the Museum of the Year Cat-bassador! Following the passing of Tibs the Great, the last great Post Office cat, The Postal Museum is searching for 12 volunteer mousers to fill the vacatcy until September 2018. In celebration of the Museum of the Year, a special Cat-bassador for the month of July 2018 will be appointed. We’re looking for a reliable purr-fessional to represent all five museum finalists and cats in their local area. 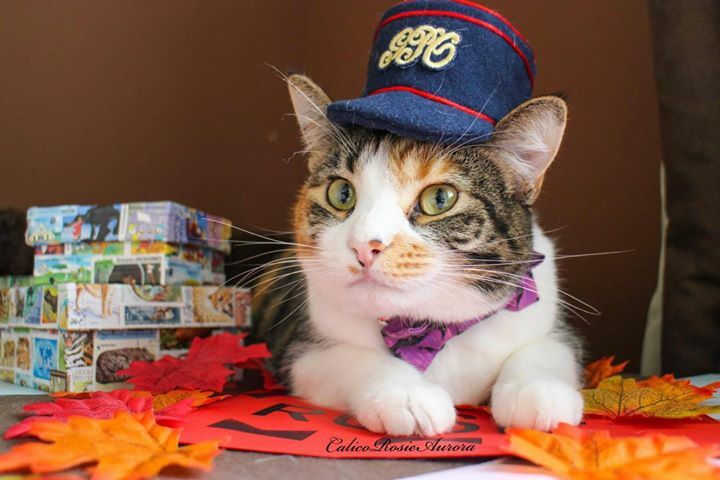 This July a successful cat-pplicant will be appointed to the ceremonial role of Postal Museum Cat (PMC) and Museum of the Year Cat-bassador. PMC is expected to work from home, on a voluntary basis. The lucky winner will be sent an official mini postal hat and other treats. A template hat is available to download here to aid candidates with their cat-pplication. Cat-pplications are NOW OPEN and will be closing on 2 July 2018. For inspiration, check out #jobsfurcats hashtag to see our current and previous recruits. The winner will be chosen by the public and announced on 5 July so keep an eye on our Twitter, Facebook and Instagram for your chance to shake things up!